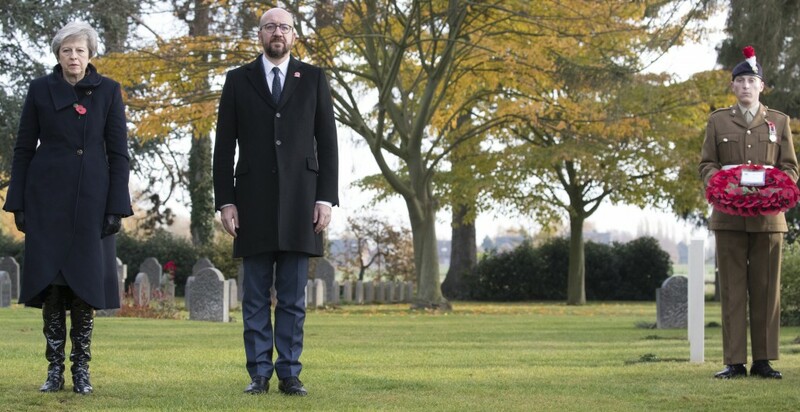 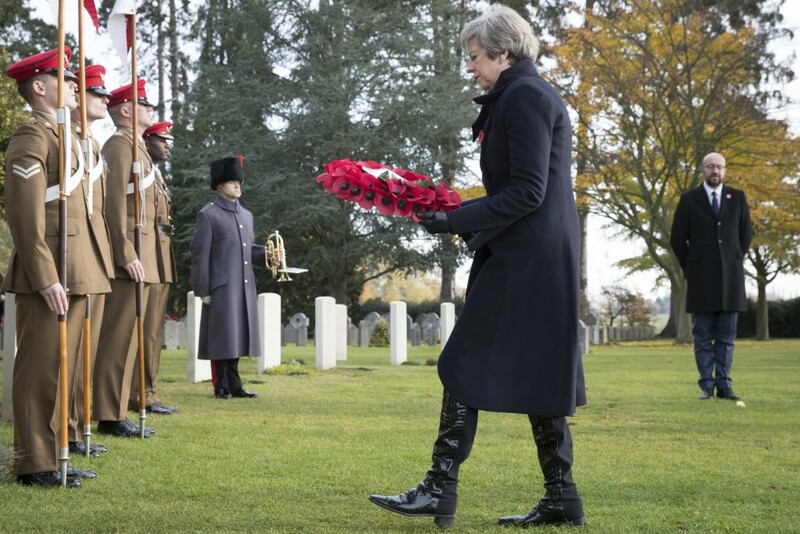 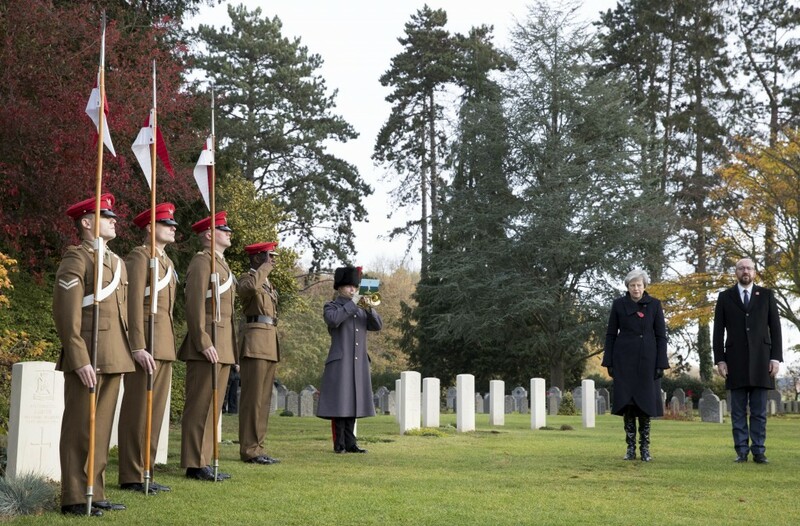 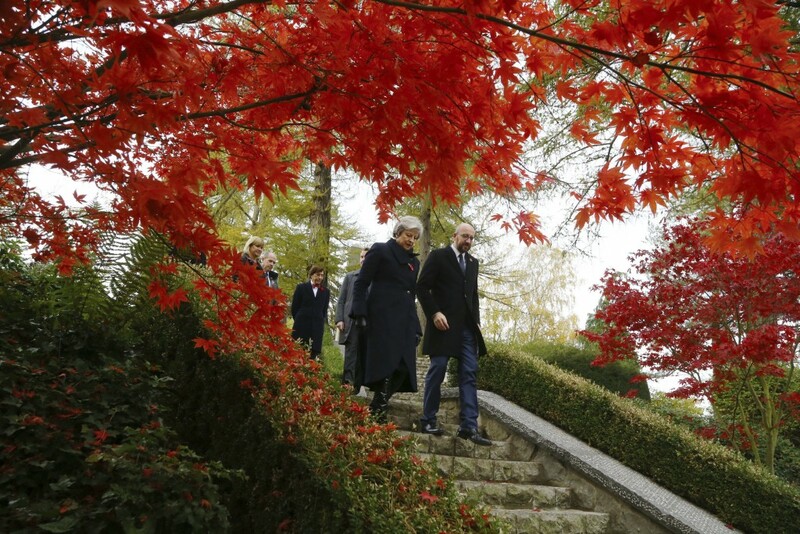 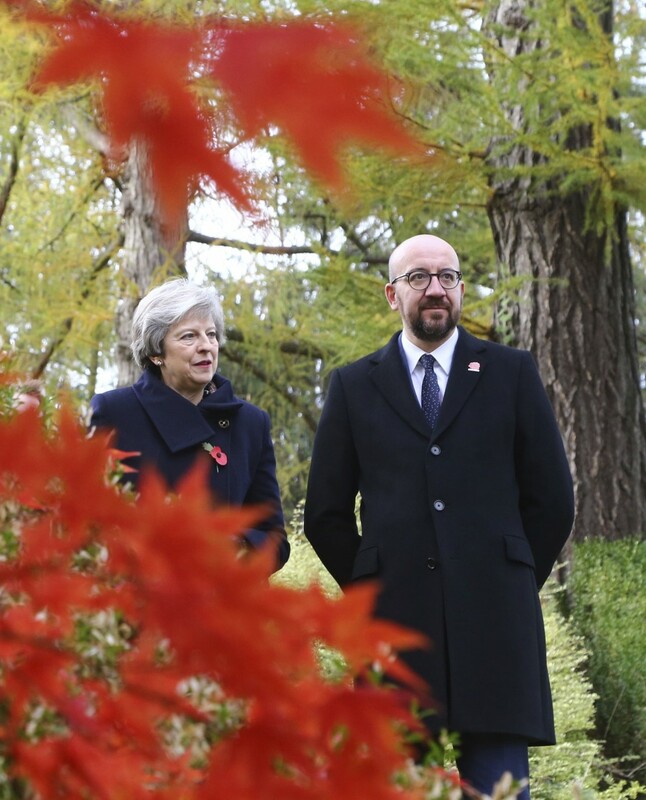 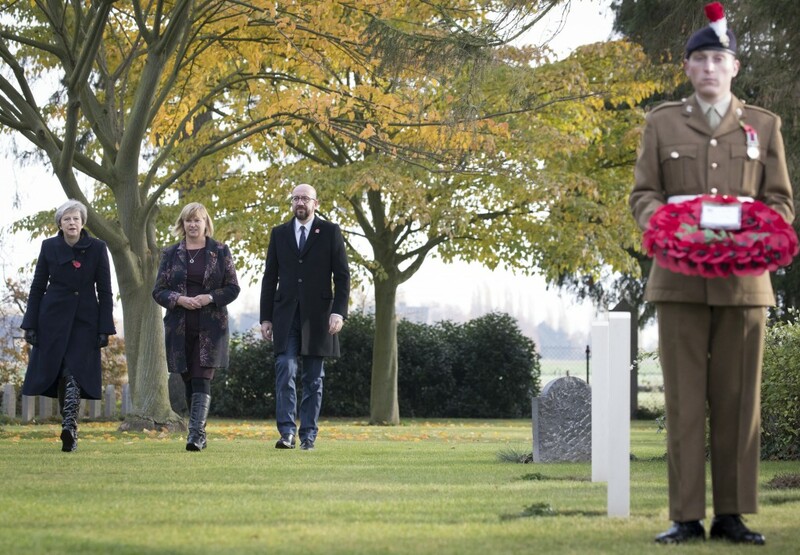 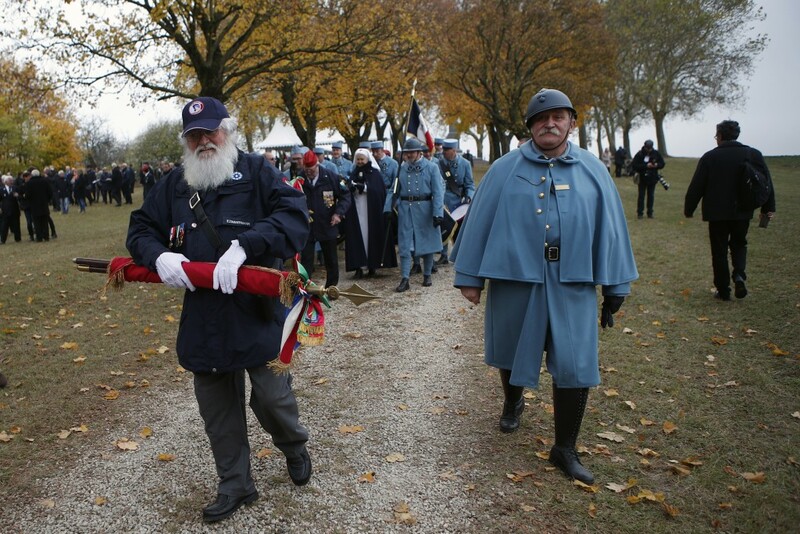 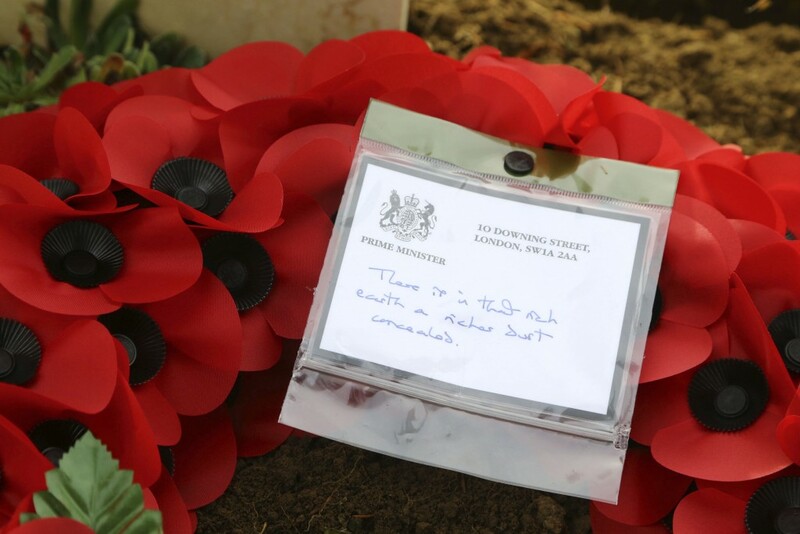 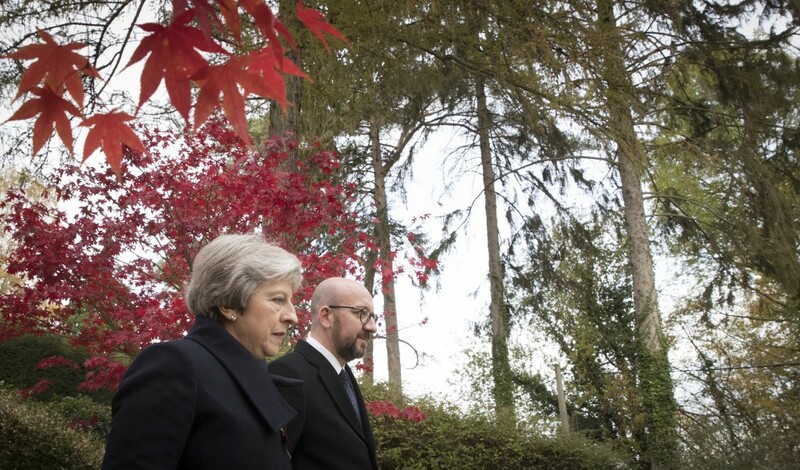 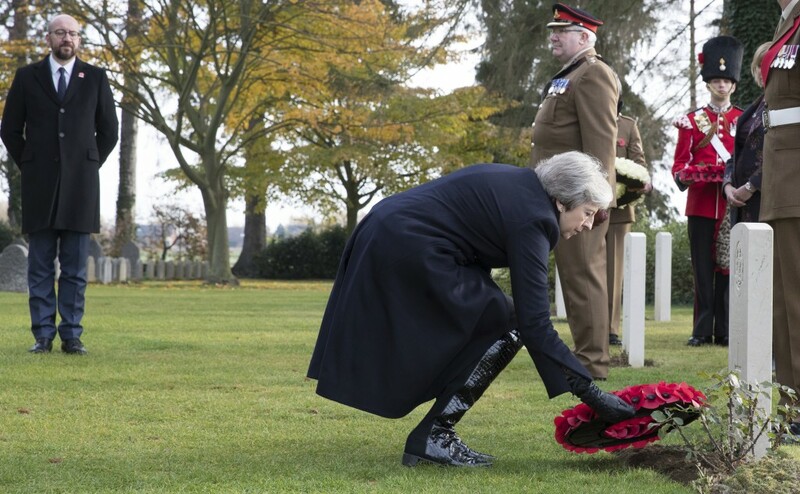 British Prime Minister Theresa May, left, and Belgian Prime Minister Charles Michel walk at the St. Symphorien cemetery in Mons, Belgium, Friday, Nov. 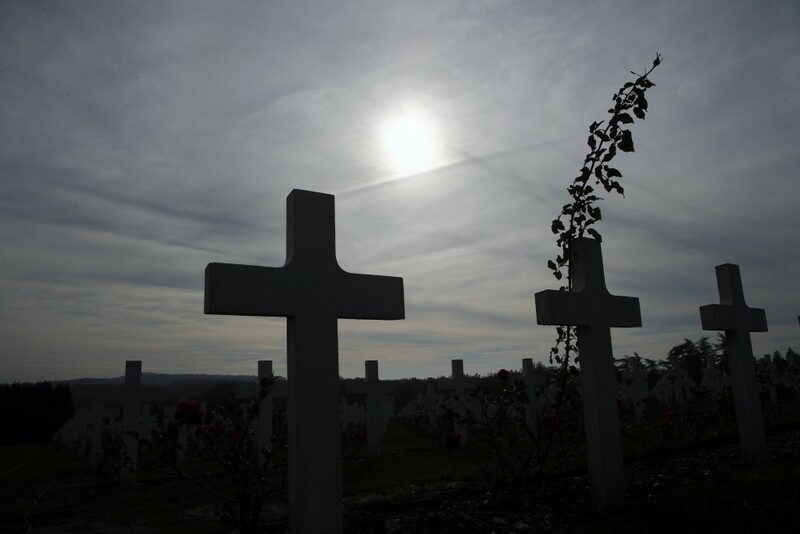 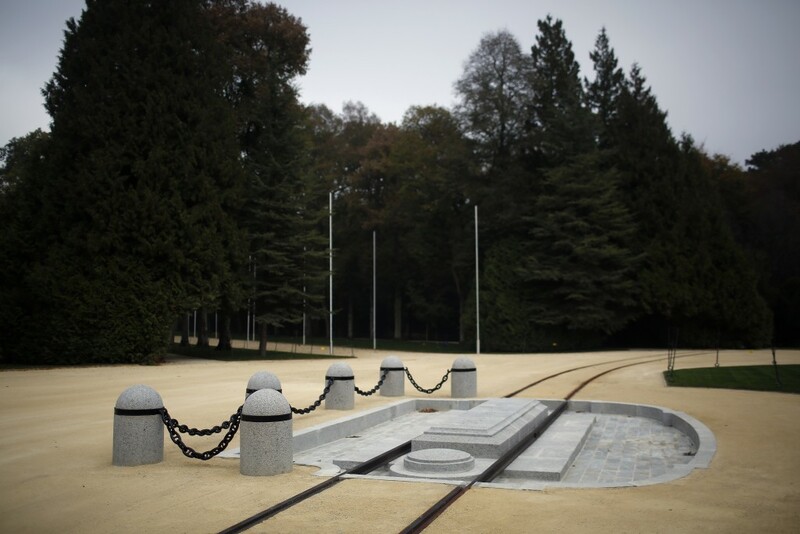 The other, nearby, is the grave of Pvt. 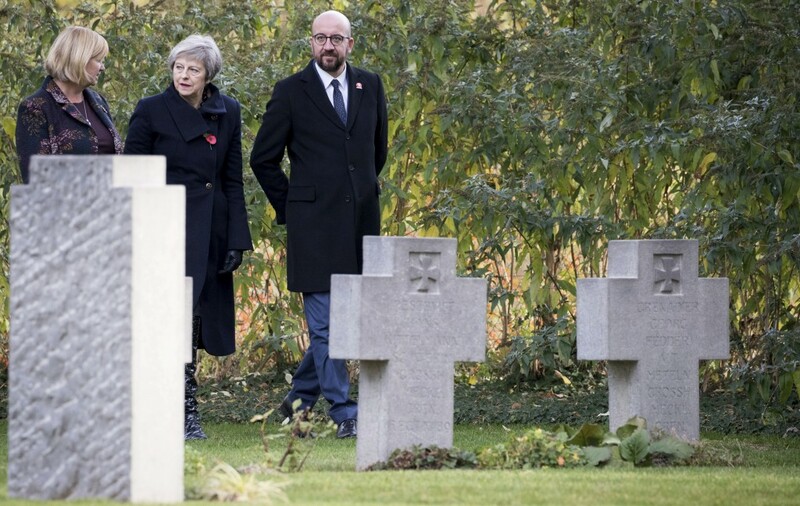 George Ellison, who survived some of the war's worst battles but was shot and killed in a Belgian pasture on Nov. 11, 1918 — the war's last day.